A topic that both proud owners and interested parties of a YouMo eCruiser are constantly concerned about: the maintenance of the electric bike. How does an eBike inspection make sense? Is there a maintenance schedule for an eBike? Do I have to pay for eBike maintenance? YouMo eBike Service is the answer to these questions. It sounds so simple: buy an eBike and start cruising relaxed. That’s basically it – but one thing is indispensable for longevity, functionality and therefore also a safe driving experience. 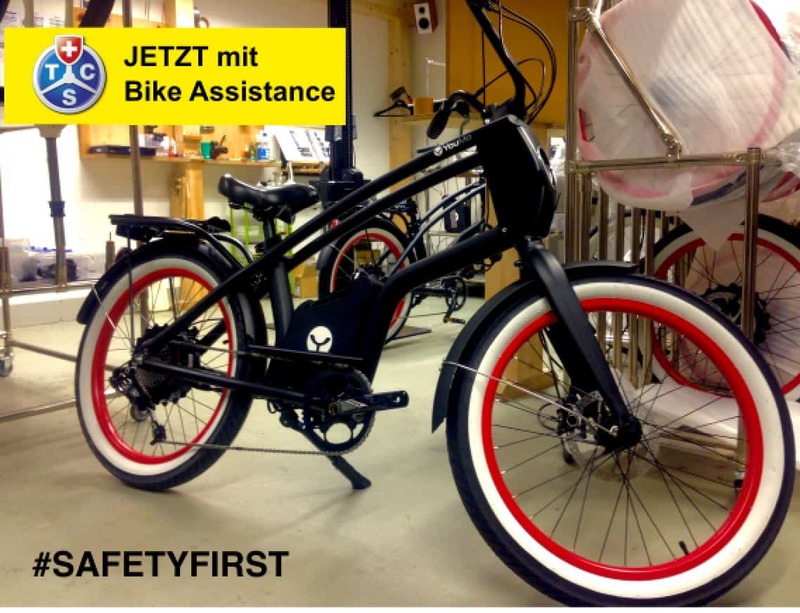 We are talking about the competent and regular inspection of your electric bike. These include a general check of the e-bike for road safety and the cleaning of special bike parts. In addition, all functions and the battery are checked and any software updates are installed. If you want to keep your eBike optimally in order, it needs an appropriate maintenance. This is a point that should be addressed with a good eBike purchase advice. A sensible maintenance plan should generally include a large annual checkup. Accordingly, YouMo now offers a special service package in two versions for all Swiss customers: Including pick-up and delivery service as well as our own delivery and collection. Since 2018, this customer-friendly maintenance plan is automatically included when you buy an eCruiser if you live in Switzerland. Owners of an older eCruiser can of course book the maintenance of their electric bike at a later date. But customers from other countries are not forgotten either: In consultation with us, YouMo finds a maintenance solution for all eCruisers out there and cooperates with the respective local dealers. You were not sure if you can maintain an eCruiser? You hesitated because an electric bike was too maintenance-intensive for you as a layman? Now you can sit back and relax! Choose your personal YouMo and enjoy our new eBike service with TCS Bike Assistance and all-round carefree feeling. Here you will find all prices and information about YouMo’s new service.